From fresh, locally-raised turkey, to homemade pies, to Black Friday shopping until you drop, Maryland has exactly what you’re looking for this Thanksgiving. 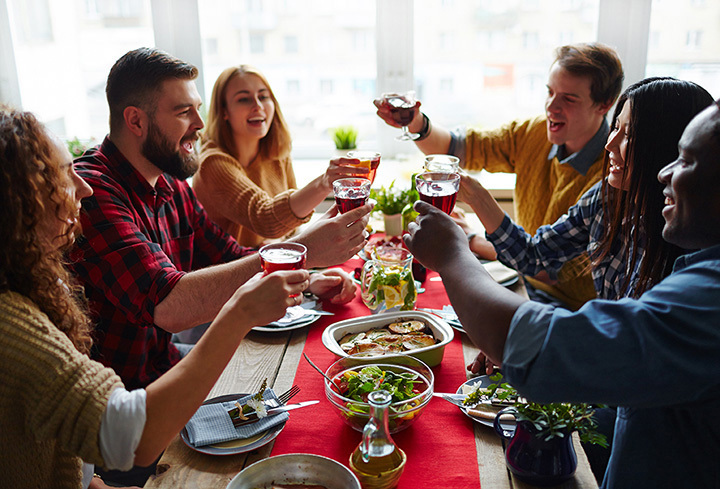 Make the most of your holiday break by checking out these great spots for the quintessential Thanksgiving in Maryland! Moonshadow is one of Accident, Maryland’s best nightlife locations. With tons of local beer, live music every weekend, and a laid back, friendly atmosphere, it’s the perfect place to catch up with old friends over a drink before the holiday. Dangerously Delicious Pies has two locations in Baltimore, Maryland, and serves some of the best sweet and savory pies in the state. For Thanksgiving, you can’t do wrong with their apple crumb, pumpkin, or sweet potato pie. Albright Farms raise their turkeys in an open-air shelter and don’t inject them with antibiotics or hormones of any kind. They process their turkeys right before Thanksgiving so you have the freshest possible bird for your table. Black Friday starts on Thanksgiving Day at the White Marsh Mall in Baltimore, giving savvy shoppers even more time to take advantage of stellar deals. Doors open at 6 p.m. on Thanksgiving and reopen at 6 a.m. Friday morning. Get your tickets now for the Penn State/University of Maryland football game the Saturday after Thanksgiving. The Terrapins have home field advantage: the game will take place at Capital One Field at Maryland Stadium in College Park. The Baltimore American Indian Center Heritage Museum is a newer museum showcasing the lives and contributions of Native Americans in the Maryland area. This Thanksgiving, take time to learn more about the people that started it all. Thanksgiving morning, trot along the Baltimore waterfront in this fun 5K. Participants can enjoy post-race refreshments and random prize drawings. Race day registration starts at 7 a.m.
CityFam is bring volunteers to Goodwill’s Annual Thanksgiving Dinner and Resource Fair to help serve Thanksgiving dinner to those with disabilities or special needs. Register online to help serve in this wonderful event. Every year, riders on horseback gather to begin their Thanksgiving Day Hunt with a blessing over their foxhounds. A priest will perform the blessing before the hunt. Take part as a rider or a tailgater and enjoy this time-honored tradition.